Attorney General William Barr, defending his decision to order a review of the Trump-Russia probe's origins, told a Senate panel Wednesday that he thinks "spying did occur" by the government on President Donald Trump's 2016 presidential campaign. "For the same reason we're worried about foreign influence in elections...I think spying on a political campaign — it's a big deal, it's a big deal," Barr said in response to a question from the ranking member on the Senate Appropriations subcommittee, Jeanne Shaheen, D-N.H., who had asked why Barr is looking into the origins of the investigation. Barr said that he grew up during the Vietnam War when there was spying on anti-war advocates by the U.S. government and there were rules put in place to ensure there's an adequate basis for it. "I'm not suggesting that those rules were violated [now], but I think it's important to look at that. I'm not talking about the FBI necessarily, but intelligence agencies more broadly," he said. Shaheen then asked, "You're not suggesting that spying occurred? "Barr paused for several seconds and replied, "I think spying did occur," though he didn't elaborate further. He said that he's not launching an investigation of the FBI and is not suggesting there is a problem that's "endemic" to the FBI, but "I think there was a failure among a group of leaders at the upper echelons." He added, "I feel I have an obligation to make sure that government power isn't abused." At a hearing Tuesday before a House Appropriations subcommittee, Barr revealed that he is "reviewing the conduct" of the FBI's Russia probe during the summer of 2016, and that the Department of Justice inspector general will release a report on the FBI's use of the Foreign Intelligence Surveillance Act process and other matters in the Russia case in May or June. President Trump praised Barr's revelation of the probe into the investigation of his campaign Wednesday morning. "What I'm most interested in is getting started, hopefully the attorney general, he mentioned it yesterday, he is doing a great job. Getting started on going back to the origins of exactly where this all started," he told reporters at the White House. "Because this was an illegal witch hunt and everybody knew it. "The Senate hearing intended to focus on the 2020 budget request comes a day after House Democrats pressed the attorney general on the forthcoming release of special counsel Robert Mueller's report on the investigation into Russian interference in the 2016 election. Barr said Tuesday that his original timeline still stands, and that he planned to release the redacted document by mid-April, specifying that he expects it would come out "within a week" and that it will be released to the public. Asked then whether Mueller or anyone on his team reviewed Barr's summary of the report in advance, Barr told the House panel that Mueller's team "did not play a role" in drafting that document and that he did give Mueller an opportunity an opportunity to review it, but he "declined. "He would not respond to questions from Lowey about whether he had shared any additional information from the report with the White House, or whether administration officials had seen the full document. Barr later clarified during the hearing that before his summary was sent out, "we did advise the White House counsel's office that the letters were being sent" and while they weren't given the document in advance, "it may have been read to them." 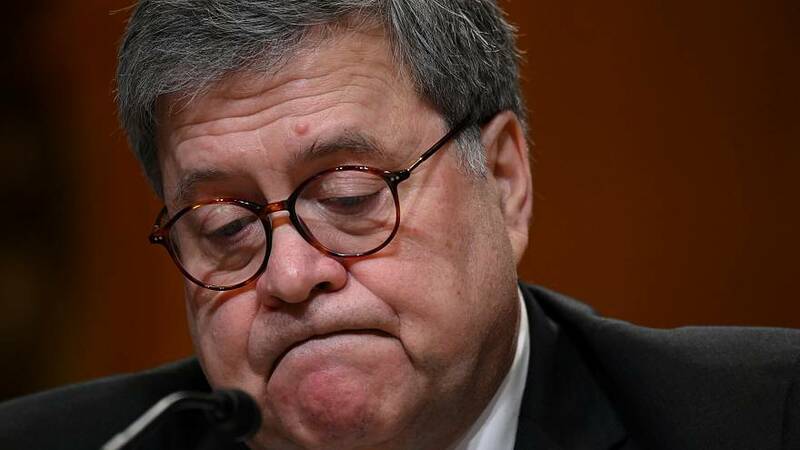 House Democrats had given Barr until April 2 to submit the full report to Congress, a deadline that was not met. In response, the House Judiciary Committee last week passed a resolution that authorizes Nadler to issue a subpoena for the full, unredacted report. It has not yet been issued.